Original Canadian Cast - Phant.. Product weight is 0.23 lbs. I had owned the London cast recording of Phantom for some 7 years before I bought this one, and it is very hard to say which one is better. As with all different cast recordings of musicals, both have their strong and weak points. I'm a Sarah Brightman fan(atic), but I owe it all to the original cast recording. My love for Sarah began with the Phantom of the Opera, which I first listened to as a child. Now an adult more than a decade later, I'm still not tired of those songs.I'll assume that if you're interested in this recording, you're already familiar with the songs and are interested in knowing how this holds up to the OLC (original London cast) recording and/or the new movie soundtrack.Rebecca Caine is a terrific Christine. I.. I would've given this five stars, but a few songs are omitted. Other than that, though, it's absolutely excellent. 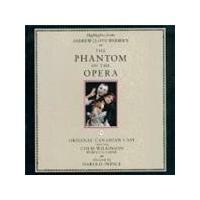 Colm Wilkinson plays a terrific Phantom--worlds better than Michael Crawford could ever be. 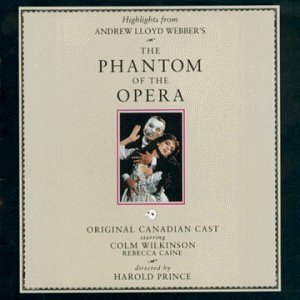 His voice positively soars, and "Music of the Night" is truly breathtaking.For this Canadian version of Phantom, the role of Christine is played by the incredibly talented Rebecca Caine. Unlike Sarah Brightman, she is able to control her voice to the point that her vibrato isn't annoying. "Wishing You We..